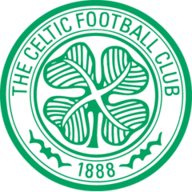 Leigh Griffiths will again be on the sidelines as Celtic travel to Inverness Caledonian Thistle for Sunday's Scottish Premiership showdown. The striker has missed the last two matches with a calf injury and is still about a week away from full fitness. Celtic lost 7-0 in their Champions League opener against Barcelona in the Nou Camp on Tuesday night but manager Brendan Rodgers says he will resist making wholesale changes. "The players have been absolutely outstanding since I came in here," he said. "We were given some harsh lessons in the Nou Camp against arguably the world's best ever team. "But the boys are back smiling and working again and looking forward to the next challenge. 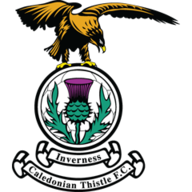 We respect Inverness had a difficult start but within their last couple of games they showed up much better. So I'm sure like all the trips before it'll be a tough game for us." After a 5-1 derby win over Rangers, Celtic lost 7-0 at Barcelona on Tuesday night. How has Brendan Rodgers coped? Inverness boss Richie Foran will select from a fully-fit squad with the exception of reserve goalkeeper Ryan Esson, who remains on the sidelines with an elbow injury. Teenager Cameron Mackay has been recalled from his loan at Elgin City and will take Esson's place on the bench. Caley Thistle lost their opening three league games but their form has since improved, taking four points from their last two games with a 1-1 draw at Aberdeen last time out. Foran said: "There is confidence running through our team after taking a good four points against St Johnstone and Aberdeen and we want to continue that. "People say this is a tough game for us but every game is tough. We are setting up in every game this season to try and get three points."